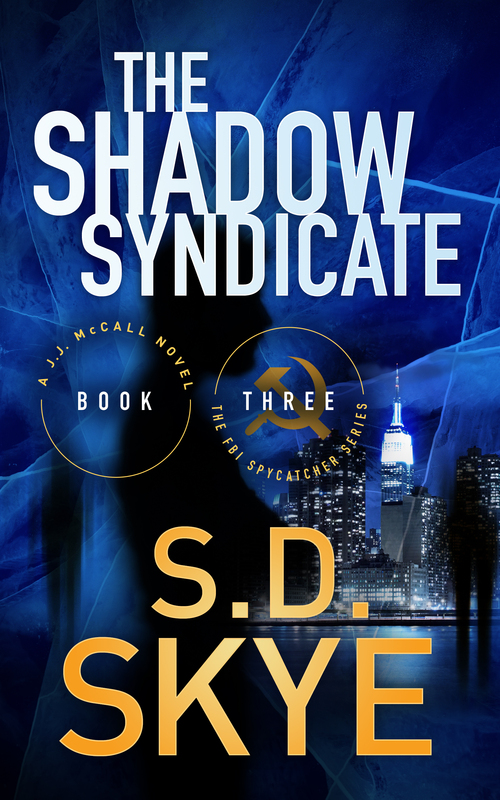 When turncoats betray America’s human intelligence assets, there is no greater failure than the loss of life—and no one knows that better than FBI Special Agent J.J. McCall, a born lie detector who recruits foreign spies to catch American traitors. She and co-case agent Tony Donato have lost two of their most critical Russian sources in the past two years, and they may lose another in just a few short days if they don’t catch him. The ICE PHANTOM. Code name for a near-dead investigation initiated to identify a rumored insider spy more insidious and elusive than Ames and Hanssen combined. After a decade of fruitless investigation, the Intelligence Community fears it might be chasing ghosts—but J.J. and Tony suspect he might be burrowed deep inside FBI counterintelligence. And his death toll is piling up. Drawn into an unsanctioned mole hunt, J.J. and Tony have a week to catch ICE PHANTOM, save a key source’s life—and their own. While J.J.’s lie detecting ability helps them narrow down the list of suspects, the ultimate lie, the one she’s been telling herself for too many years, may help the ICE PHANTOM defect to Moscow and get away with the murder of the man she cannot live without. On the lam from the FBI, the ICE PHANTOM continues with plans to defect to Moscow but not before seeking revenge on J.J. McCall. Meanwhile, the FBI commences Task Force PHANTOM HUNTER, a team ordered by Director Russell Freeman to track down suspected Russian illegals within the U.S. Intelligence Community—and not a moment too soon. 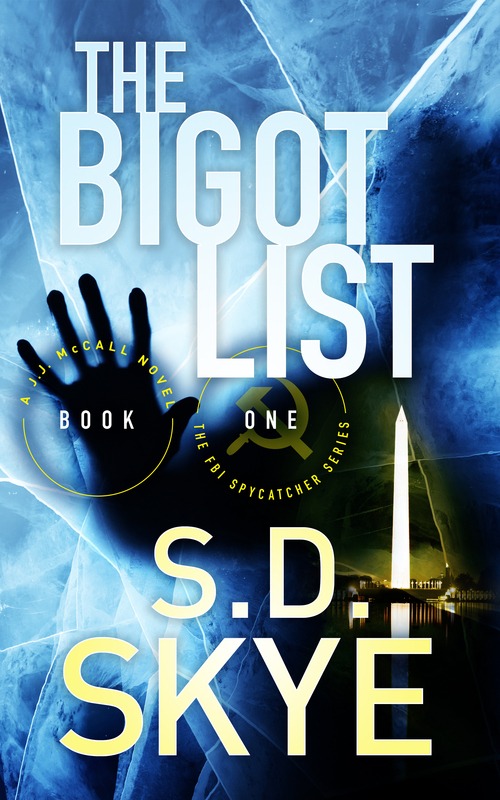 An agent of the Russian Intelligence Services is targeting the nerve center of U.S. national security, taking the lie-detecting FBI Agent and her cohorts’ next mole hunt to the highest echelons of the U.S. government. J.J. and her co-case agent lead the motley crew of spy catchers while she struggles to deal with sobriety, conflicting feelings for Tony and Six, and an egotistical Secret Service agent whose jurisdictional stonewalling complicates her every effort to identify the culprit before he gets away—with murder. The FBI and Italian Mafia make strange bedfellows when a vicious Russian Organized crime figure, operating at the behest of Russian Intelligence, lands in The Big Apple. General Anatoliy Golikov’s henchman, infamously known as Mashkov, avenges the death of slain Russian Intelligence Officer Svetlana Mikhaylova by attempting to murder Tony’s brother, an associate of the Bonnano family, sending J.J. and Task Force Phantom Hunter to the streets of New York. This time they must stop a bloody crime war between Russian and Italian Organized Crime and take down the financial hub of the most insidious Russian illegals network in U.S. History. To compound matters, an FBI Executive with a grudge against the McCall family threatens the very existence of the Task Force, while a conniving Gia Campioni tries to seduce Tony and put a wedge between he and J.J. With only two weeks to shut down the network and restore peace, the Task Force must solve the case before the murderous Mashkov strikes at the very heart of the team. And if J.J. and Tony survive …will they emerge from the turmoil together? Or will Gia’s duplicity prove too much for J.J. to bear? An award-winning author and former FBI analyst in the counterintelligence program, supported many high-profile cases during her 12-year tenure at the Bureau. 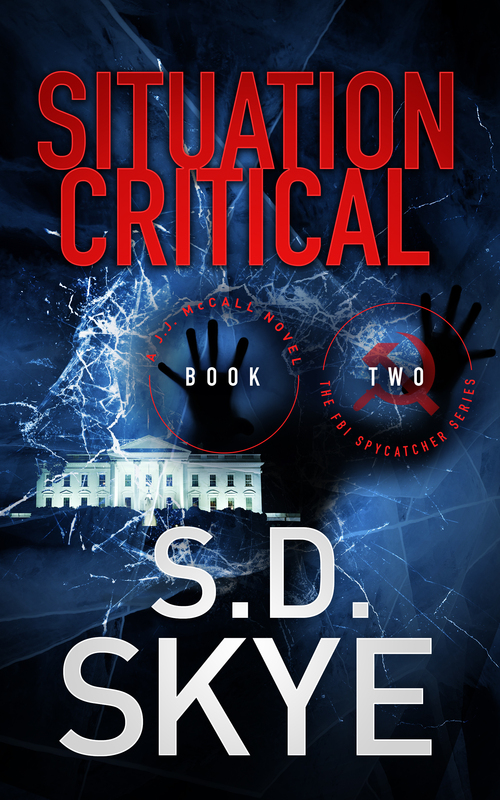 Skye has spent the last 8 years supporting the U.S. Intelligence Community as a senior intelligence analyst/editor with the DIA, the Joint Chiefs of Staff J2 (Director of Intelligence), U.S. Coast Guard Intelligence, and the Office of the Director of National Intelligence. Skye is a native Washingtonian (D.C.) and professed nerd-girl who loves all things Star Trek, Star Wars, Lord of the Rings, and Big Bang Theory. She’s a member of Romance Writers of America, International Thriller Writers, the Maryland Writers Association, and Sisters in Crime and lives to write novels, especially those involving 3-letter agencies and Beltway intrigue. Skye left her 20+ years in the intelligence business and now lives in the Washington suburbs with her son and works with a government contractor. She is hard at work on the next installment of the series which promises to be a jaw dropper!